It's Jersey, and it's vegan. But, Saint Patrick’s Day was last week! I was very set on creating a Saint Patrick’s Day food post and publishing it a week prior to Saint Patrick’s Day so that people could actually follow my recipe this year, but unforeseen car trouble and car shopping took my attention away quite quickly. I almost scrapped the idea entirely, but then realized, I could post now and just be totally ready for next year!! Having lived in several regions of New Jersey, I consider myself fairly acquainted with various Jersey-isms and can attest to the fact that within our small state we have many differences in food, language, and even (or especially!) driving etiquette. But I digress. Food is my focus, of course, and what I wanted to introduce to both Jersey and non-Jersey readers is a sweet Saint Patrick’s Day treat called Irish Potatoes. But here’s the catch — they aren’t actually potatoes. 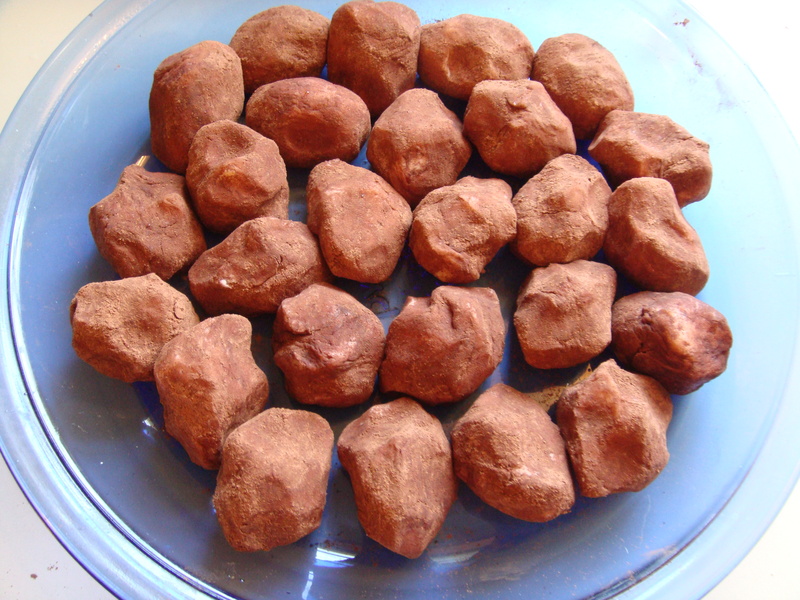 Essentially, they are small candies that appear brown on the outside and white on the inside, not unlike potatoes. I had never seen them until living in South Jersey, and apparently, that’s because they are originally from Philadelphia (not Ireland!) and just spread to the surrounding area. In fact, it seems to be an obvious rule of thumb that in the northern half of New Jersey is influenced by New York cuisine (bagel shops every where, “subs,” black & white cookies in most bakeries, and New York-style Pretzels) and the southern half is influenced by Philadelphia cuisine (cheesesteaks, “hoagies,” and Philadelphia-style pretzels). In fact, my local Acme supermarket featured Irish potatoes this past month, while the one by my mother’s house did not. Unfortunately, the ones at Acme included dairy ingredients as well as corn syrup and something else unpronounceable. So in all honesty, I never had an Irish potato until three years ago when a colleague brought a homemade vegan batch to work. 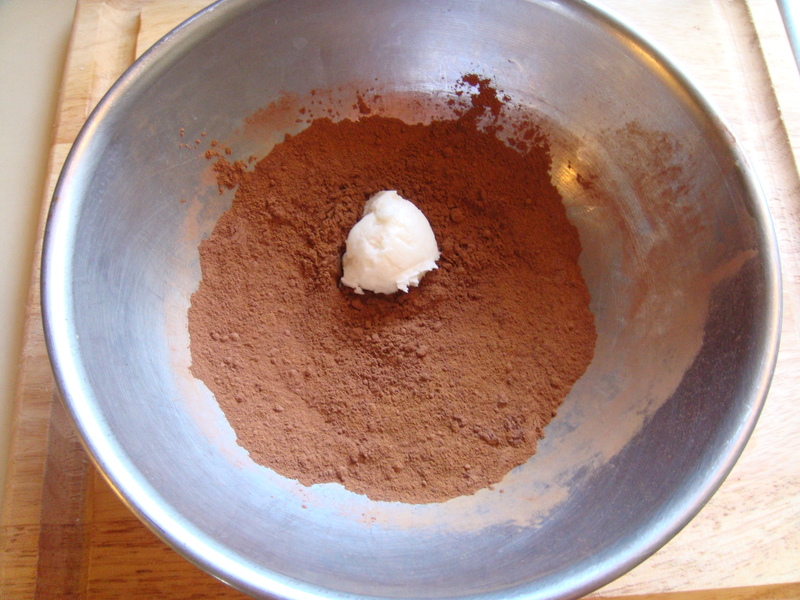 The following recipe is the one I used this year, based loosely on what my old co-worker told me as well as a modified non-vegan recipe I found on the Internet. 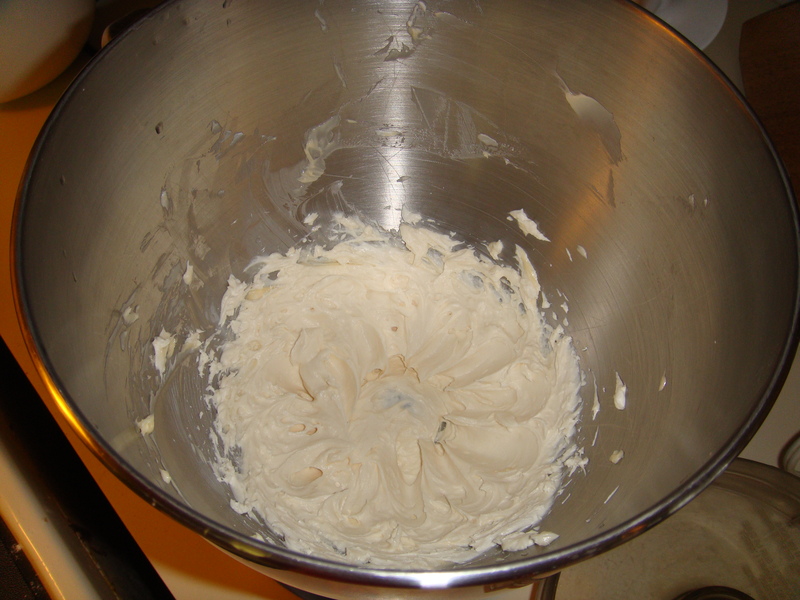 First, I use the whisk attachment of my mixer to cream together the Earth Balance and Tofutti cream cheese. 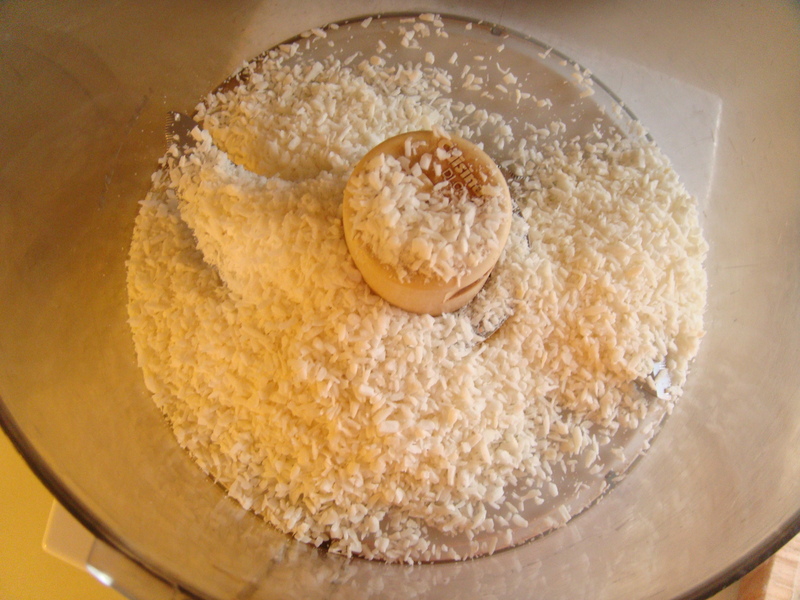 Then, I added the vanilla and almond extracts. 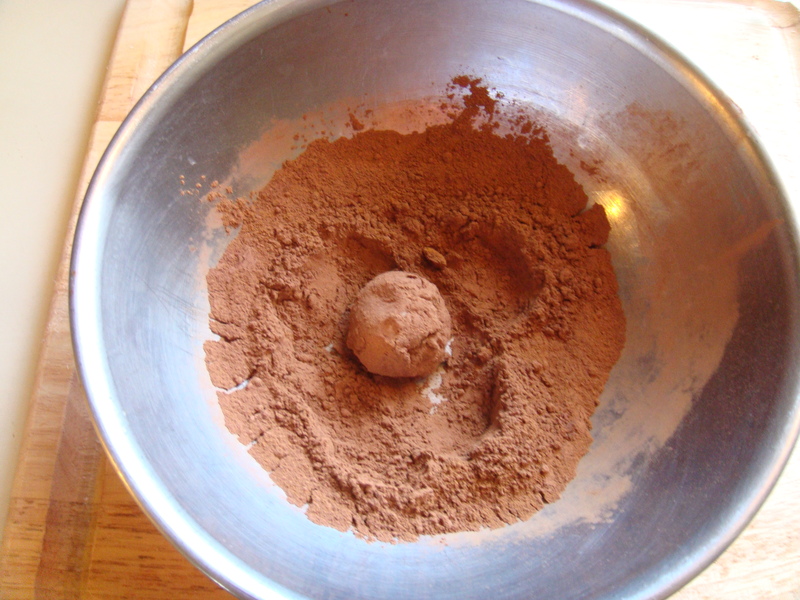 Gradually (to avoid a white cloud of dust covering my kitchen), I added the confectioner’s sugar about ½ cup at a time, scraping down the sides when needed, and continued beating it until the mixture started to harden and form lumps. 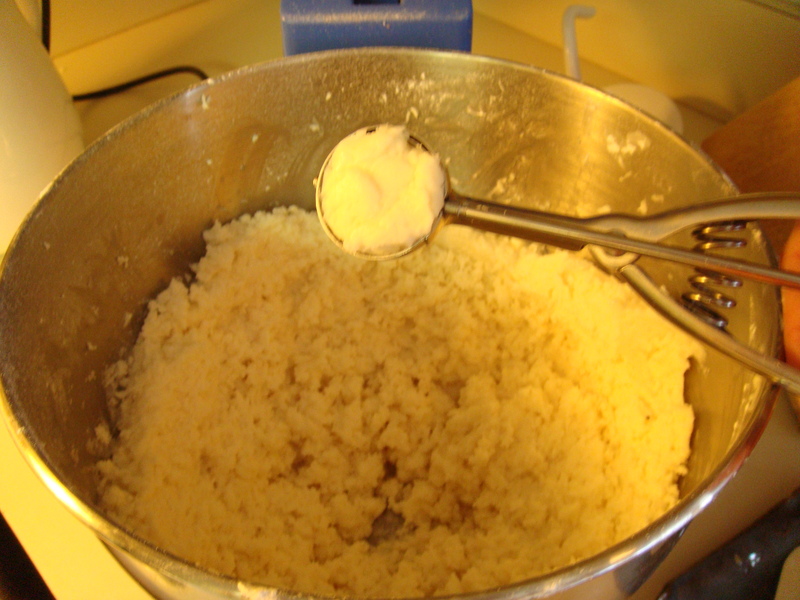 Initially, it appeared creamy, and eventually stiffened around the whisk. 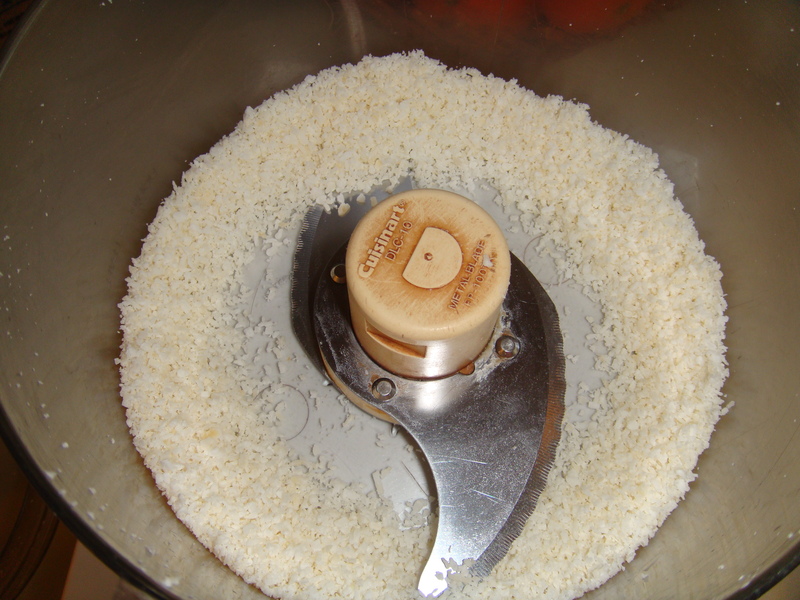 A lot of people I know don’t like coconut, or more specifically — it’s texture — so I ran mine through the food processor in small batches first, then gradually added it to the mixture. Some people still picked up on it, so next year I may try coconut flour to avoid that texture problem. To keep the sizes of my potatoes equal, I used a small cookie scoop to measure before rolling the chunks of the mixture between my hands to form small balls about the size of walnuts. This roundness made the next step easier. 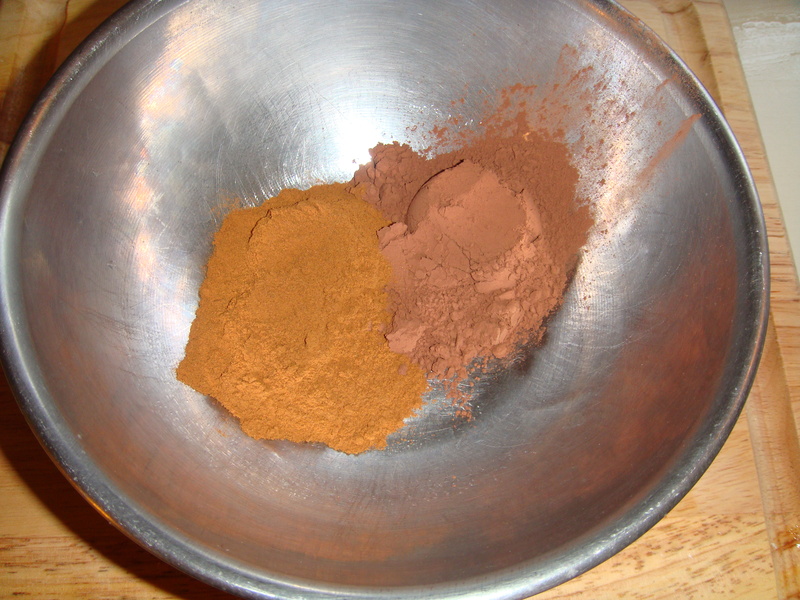 Next, I made the mix equal parts cocoa and cinnamon into a small bowl, and rolled each lump around until it was completely coated. 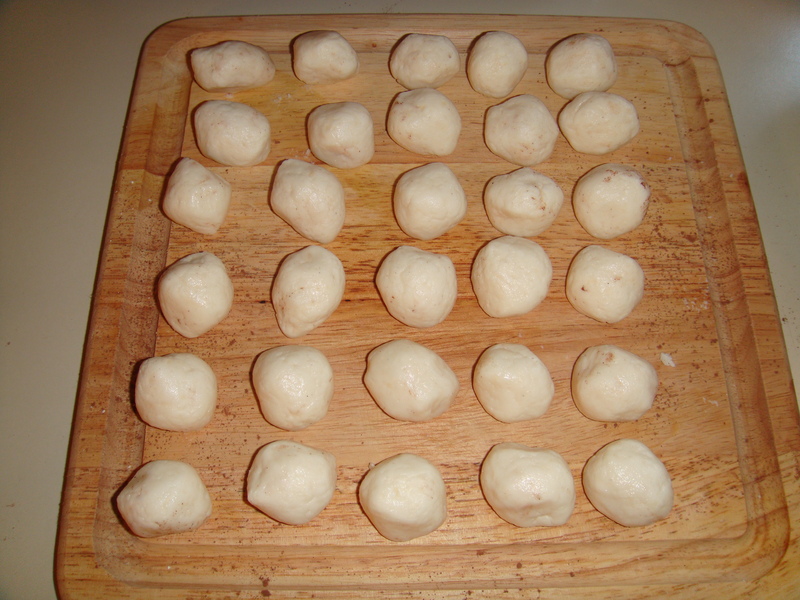 Finally, I took this perfectly round ball and started to sculpt with my fingers to make dents in bumps in my “potato.” They are edible immediately, since they require no baking, but it is better to refrigerate them for at least an hour to harden them. This year, my batch yielded 61 potatoes I shared with family and friends. So there you have it. Irish potatoes, without the actual potatoes. Well, but there’s always next year — I intend to try incorporating real potatoes as others have. Here is the recipe I’ll be trying next year.